Chad Halverson is an agent with the CIA. Not that it matters a whole lot from the second page of the first book onwards. It plays a minor role, yes, but by and large, his former employment is moot. Everyone's former employment - heck, former anything, is moot. Back in the States from one of his many assignments, Halverson was in the Langley headquarters when notified his brother had been injured in a car accident in L.A. Having not seen him in a couple of years due to his job, Halverson hopped a commercial jet and headed west. Landing, he and the other passengers found the world had changed. A plague which had been hitting spots over the world had struck American soil and struck hard. It killed the host body but did not let that body stay truly dead. The brain remained somewhat operational but with one key motivation - food. The zombie apocalypse was at hand. Throughout the series, the fight to stay alive against billions of reanimated ghouls is the key objective but when all order is destroyed and chaos takes over, the human inclination is to put some semblance of control back in place and that means numerous pockets of new governments rising. In these new enclaves, strangers are seldom welcome except as slaves as Halverson will find out several times. 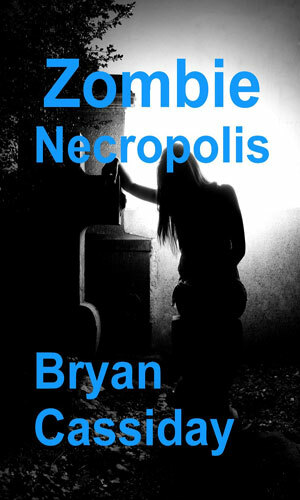 Even as he, and a female companion he meets early in the second book and remains with, struggle to stay alive from the zombies and free from the various new orders, he also must evade the occasional drone attack from the little that remains of the former government and the Agency that learns he inadvertently discovered the truth about the plague's origins and now must die. [Why he must die is never really explained]. Halverson has his hands full from the moment that plane touches down. And they had better be filled with weapons. The plague broke out in China but spread quickly. Chad Halverson was flying into L.A. to visit his brother when his plane crash-lands to learn the world will never be the same again. 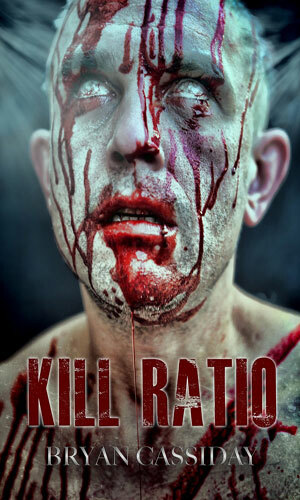 Once of the CIA's most secretive group, Chad Halverston is now one of a few survivors trying to survive to get out of an L.A. filled with zombies. 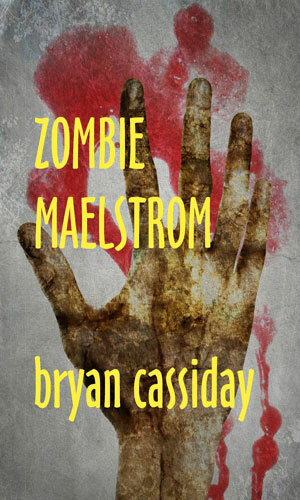 A collection of the first two adventures of Chad Halverson, Zombie Maelstrom and Zombie Necropolis. The Bay area of California is no better than L.A. as Chad Halverston and his group discover. Taking refuge on the Rock, they soon learn it is not the haven they had hoped. Wanting to know if anyone remains in the nation's capital to run what is left of the country, Chad Halverston and his small group heads there. Someone, though, is using drone technology to stop him. 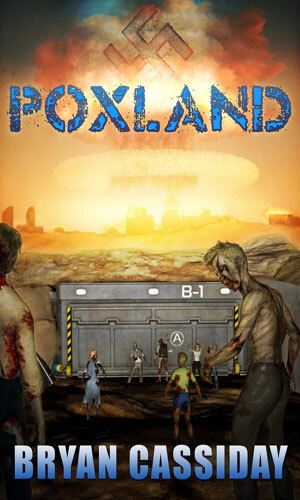 Seeking to stem the spread of the zombie plague, the President orders the drop of an atomic bomb on Las Vegas. Chad Halverston and a companion barely survive and join up with a few more to resume their trek to D.C. The new group has its own secrets. I love a good zombie story. From the moment I was 16 and my oler sister and I saw Night of the Living Dead (thanks, Sis, for a couple of nightmarish evenings to come), I was a fan of zombie movies. Maybe not as much as I loved vampires but definitely more than werewolves. 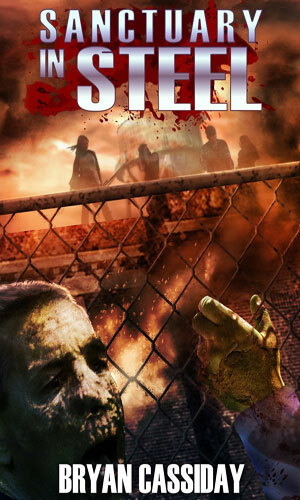 But zombie tales that I enjoyed were always on the screen. I watched. I did not read. 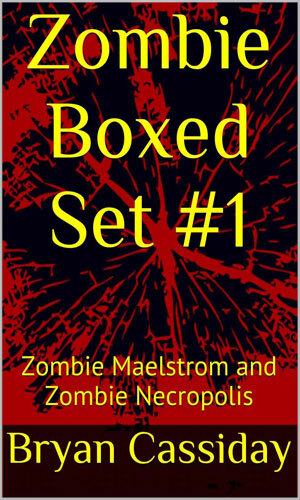 Even when the avalanche of zombie tales hit the book shelves (physical or electronic), I still did not read. I watched. The Walking Dead had been spellbound. Watching, not reading. Then, of course, came the Halverson books and since I read spy series and he was a spy, I read the books. I then saw why watching is so much better than reading about zombies. Not that there is anything particularly wrong with the author's presentation because it is quite well done. Scenes are graphically (and then some) depicted so you know exactly what the situation is like and can almost feel the horror of being there. It is that it just goes on and on. A scenario that might take a couple of minutes to occur on the screen takes many, many pages to report. And the situation repeats itself over and over. Halverson joins briefly with a small group. That group will contain one key jerk causing trouble. They round a corner. Zombies. Fight - fight - fight. Too many. Run away. Get free. Argue some more. Head in a different direction. Round a corner ... Rinse and Repeat. At least the first three books seem to be that way. I have not yet read the last couple. I need a very long zombie break.